AS COMPETITION for places in top universities such as Harvard and Oxford gets more intense, hopeful applicants are turning to consulting firms to gain an edge. Six such companies here told The Straits Times that demand has been rising as much as three times in recent years. Most students pay $3,500 to $5,000 for their services, which include consultations with counsellors on which school to select, how to craft essays and brush up on interview skills. In the last admissions cycle, Stanford University received over 42,000 applications but had space for just 1,700. Its admission rate was just under 5 per cent. Harvard and Yale took in about 6 per cent of applicants, Princeton about 7 per cent and Massachusetts Institute of Technology about 8 per cent. IvyPrep co-founder Alvin Foo has seen a steady increase in demand for his firm's services in the last two years. The cost of its packages range from $1,250 for those trying for British universities to $6,250 for those applying to the top five American universities. He said students from top junior colleges here seek help as their schools may not be able to give as much personal attention when it comes to applying for university. Mr Jason Lum, president of US-based ScholarEdge College Consulting, said Singaporeans and Chinese nationals make up most of his international clients. In the last five years, he has seen a three-fold rise in Singaporean clients, many of whom are seeking a place in Ivy League institutions or other reputable ones like University of California, Berkeley, and Duke University. He is now working with more than 25 Singaporean students, many of whom come from the Raffles schools. Ms Natsuko Tohyama, a senior consultant at Aureus Consulting, said there has been 20 per cent more Singaporeans signing up with the company. They are advised to apply to "a mix of dream, possible and safety schools so they get placed in at least a couple of schools they'd be happy at", she said. Mr Stanley Chia, co-founder of home-grown educational consultancy Cialfo, said there has been a 60 to 80 per cent increase in demand over the last two years. 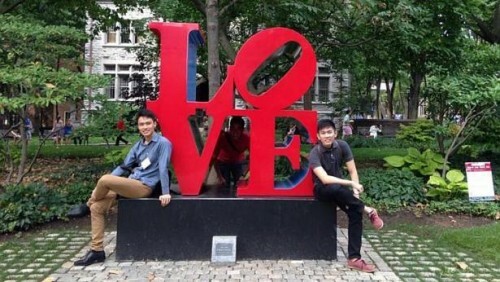 Mr Seah Ying Cong, 21, a first-year computer science and statistics student at Wharton School of Business at the University of Pennsylvania, paid for three months of consultation in 2012. "The mentors played an instrumental role in shaping my application," said the former Hwa Chong Institution student. "For instance, my first and last drafts of my essays were starkly different." Another client, 21-year-old Patrick Yeo who is now a first-year law student at Oxford, paid about $1,000 for Cialfo's services. "I needed some help in the interview process," said the former Anglo Chinese School (Independent) student. "Being in National Service for two years, I felt I wasn't as sharp when discussing academic topics as I once was." Cialfo's Mr Chia said applying to overseas institutions can get "complicated" because of different deadlines and requirements. The essay is "very important" for US colleges, as they want to gauge personal attributes. "For Britain, it's more about your subject or career interests and achievements, and the interviews are key in the process," he added. Cialfo's other co-founder, Mr Rohan Pasari, said some parents have asked if their consultants could help write their children's essays or embellish their achievements. "We tell them that's not the way to go and we are not encouraging any fake profiling." Cialfo is starting an online platform with a minimal fee to help students manage their applications. "We want to also help students who can't afford the consulting services," Mr Pasari added.